The city Preservation Board on Thursday unanimously rejected demolition permits for the buildings at Elmwood and Forest to make way for the Chason Affinity project. 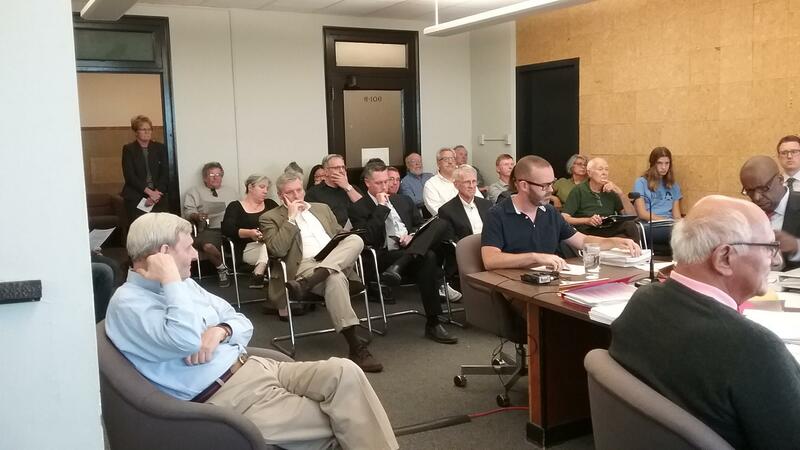 That refusal, however, may not put an end to the proposed development. Thursday's meeting of the Preservation Board drew a large crowd, a common occurrence for most public meetings where the subject is development in the Elmwood Village. The board's decision is advisory, meaning Permit and Inspections Services Commissioner James Comerford could allow the demolitions. A 40-unit apartment complex along Elmwood Avenue would replace the buildings if the project moves forward. The Zoning Board of Appeals had previously approved variances for height, width and other issues. The meeting unearthed more of the neighborhood infighting often on display at any public session regarding Elmwood Village development. "One of the things I really like about the Elmwood Village is that it has a village feel," said resident William Wachob. "To me, the core issue here and this is the Preservation Board, is it's not to preserve at all cost but to preserve something that, by and large, has existed over time and developed into a true community with this kind of feel." That sentiment, more or less, was echoed by many at the meeting. Steve Ricca, attorney for Chason Affinity, presented the board with a different view. "These properties are listed as contributing to a national register district. However, none of the properties in this properties in this particular project are individually listed as on the National Register," said Ricca, who added the buildings are not considered local landmarks. "For that reason, it's clear under the code that this is an advisory event for the Preservation Board." The high-profile corner has long been desired by developers who have been proposing projects for nearly 30 years. Of those plans, the Chason Affinity proposal has come closest to becoming reality.